Featuring a Sunday supper series, an informative yet informal wine seminar, and the second annual Avoshowdown, Vancouver’s food events calendar for April is dotted with a number of fun food-focused outings. We’ve complied a list, which we will keep adding to, of upcoming food-related events happening in the city this April. 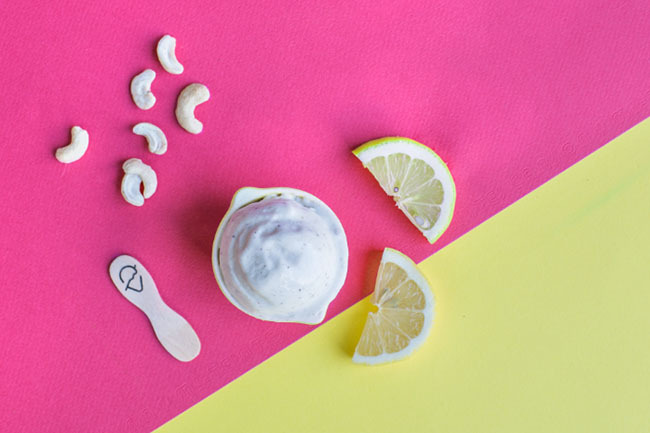 The Dairy-Free Living event (sponsored by Earthsave) will be taking place on April 3 at the Vancouver Public Library at 2 p.m. Attendees will be able to sample a variety of local, dairy-free fare from vendors that include Commodity Juicery, Nice Vice 0% Dairy Creamery, Daiya Foods, and more. The boutique-style event has a limited number of tickets available, so booking in advance is recommended. When: Sunday, April 3, begins at 2 p.m.
Price: Tickets are priced at $15 per person and can be purchased online here. 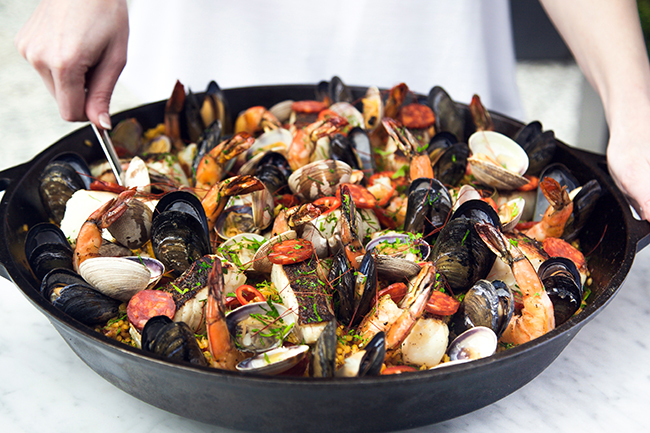 Boulevard Kitchen & Oyster Bar will add yet another delicious edition to its ongoing Sunday Supper Series this spring when Executive Chef Alex Chen conjures up the rustic flavours of Spain’s national dish with a string of events featuring Paella as the centrepiece. When: Every Sunday in April (3,10,17, and 24), from 6 p.m.
Price: Tickets are priced at $49 per person plus tax and gratuity (based on a two-guest minimum), and can be purchased online here. Beer and food lovers join Postmark Brewing for an evening of mingling at this cocktail-style Tankfarm Series — Saison Social. The event will entail passed around canapés paired with three distinctly different Saisons, and a run down of craft beer and Saison styles by Brewmaster Dominic Giraldes. When: Tuesday, 5 April from 6:30 p.m. to 9 p.m.
Price: Tickets are priced at $32.40 and can be purchased online here. Campagnolo Roma is set to host a memorable Quinto Quarto dinner featuring whole animal cooking, as well as British Columbia’s excellent spring bounty on Wednesday, April 6. Quinto Quarto is held at Campagnolo’s East Hastings location only a couple of times per year in honour of the important Roman culinary tradition of nose-to-tail cooking. This particular dinner will honour the unique cuts of meat known to Italian butchers at the fifth quarter (quinto quarto) alongside seasonal produce paired with wine from International Cellars. Price: Tickets are priced at $82 and can be purchased online here. 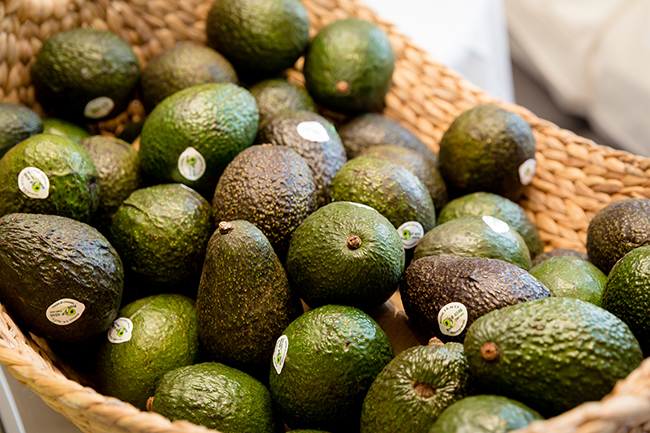 The second annual Avoshowdown, hosted by Avocados from Mexico, returns to Vancouver on Sunday, April 10 at the Northwest Culinary Academy of Vancouver. Local food lovers and culinary leaders will participate on this Sunday Funday, as 16 of Vancouver’s talented cooks and bakers showcase their creativity by crafting an avocado dish for competition. Six food and lifestyle experts will judge by a blind-tasting. On April 12, Edible Canada Bistro will be hosting Chef Ghian Liwarin and Bakhos Mjalleh of Nuba, Vancouver’s popular Lebanese restaurant. The evening will feature not only these two talented chefs, but will also be hosted by Edible Canada President and Founder, Eric Pateman. As a continuation of the Canadian Table Dinner Series, the night promises to entertain and educate guests about the influence of Canada’s multicultural heritage on modern Canadian cuisine. When: Tuesday, April 12, from 6:45 p.m. to 10 p.m.
Price: Tickets are priced at $110 (plus gratuity) per person and can be purchased here. This is the second in a series of monthly Eat, Grow, & Love Local themed Long Table events, presented by Rocky Mountain Flatbread. Learn about the wonders of wild and farmed greens from West Coast Wild Foods and the EarthBites, then enjoy a four-course menu featuring the best of wild and farmed spring greens, with craft beer tastings from a local brewery. 100 per cent of the proceeds from this event will go to EarthBites, a Vancouver-based school gardening program where students learn to grow their own food and create nutritional snacks. When: Wednesday, April 13, 7 p.m. to 8:30 p.m.
Price: Tickets are priced at $100 per person. To book, call 604-730-0321. If you’re looking to expand your cooking repertoire make sure you register for Tartine & Maple’s Cooking class and Dinner influenced by the recent change in season. 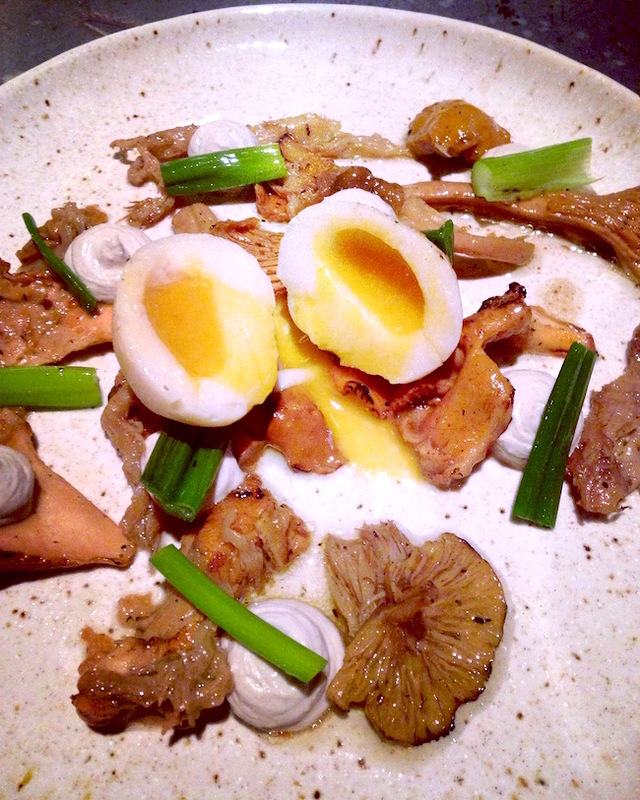 Led by the talented Valentine Kitamura, owner of Tartine & Maple and baker at The Uncommon Café, the class will entail a cooking demonstration, followed by a three-course dinner, featuring all vegetarian dishes with spring inspired ingredients. When: Wednesday, April 13, from 6 p.m. to 9 p.m.
Price: Tickets are priced at $70 per person and can be purchased online here. This is the Small Guys Wine Festival. Because it’s a small event, you can spend time with the emerging British Columbia winemakers and taste one of a kind wines. Talk with people passionate about making wine, growing grapes, and all that goes with it. Wine samples and small bites from Chicha Restaurant are included with admission, plus live music. When: Sunday, April 17, from 2 to 4 p.m.
Price: $52.55. Tickets available online. Vancouver Urban Winery presents Sunday School, a series of informal and irreverent wine seminars hosted by Sommeliers David Stansfield and Lisa Cook. The focus of Sunday School will be on demystifying wine in an accessible and energetic environment. Set within the gorgeous Settlement Building attendees will get the opportunity to taste and learn about the wines being showcased. When: Sunday, April 17, doors open at 3 p.m.
On April 18, Latab Food will host an installment of its monthly “Colab @ Latab” event. Presented by the restaurant’s chef and co-owner Kris Barnholden, along with local forager Camille Flanjak of Museum Eats, the April edition will highlight foraged indigenous ingredients, and will bring together forager Cease Wyss of Raven + Hummingbird, Chef Jefferson Alvarez of Mosquito, and bartender Rob Scope from The Cascade Room. When: Monday, April 18 at 6 p.m.
Price: $75 per person. Tickets available online. Save on Meats’ pop-up Greasy Spoon Diner Supper Series continues in April, challenging yet another notable Vancouver chef to take over the kitchen and serve a dining room full of guests. Next in line to step into the Save on Meats kitchen is Chef Trevor Bird of Fable. While the menu has yet to be released, Bird said in a Tweet that it will be a “great opportunity to try out some dishes that will be introduced on our menu” at the forthcoming Fable Diner. This event benefits programs that support the local community. When: Tuesday, April 26. Seatings at 5:30 p.m. and 8 p.m.
Price: Tickets are priced at $98.93 each (inclusive of tax and tip) and can be purchased online here. Join Vancouver Aquarium and be the first to sip and savour Naramata Bench’s Spring Wine Releases. On April 28, this delicious evening of wining and dining will bring together B.C.’s best wineries and sustainable seafood restaurants. Taste Ocean Wise offerings, meet top B.C. winemakers, and bid on silent auction items including exclusive Naramata wines and wine experience packages. All proceeds will benefit Vancouver Aquarium’s Ocean Wise program. When: Thursday, April 28, from 7 p.m.
Price: Tickets are priced at $110 (plus tax) per person and can be purchased online here. This adult-only event features wine tastings, from 15 wineries, alongside samples from local Circle Farm tour members. Muddy Waters Café will prepare appetizers and charcuterie. When: Saturday, April 23, from 1 p.m. to 5 p.m.
Where: Memorial Hall on Esplanade Avenue, Harrison Hotsprings, B.C. Price: $35 includes entrance to the event, all tastings and food samples. $40 at the door. Celebrating its fifth year, the Pig Out festival offers a perfect way to herald the coming of the summer season in Oliver Osoyoos Wine Country. On Saturday April 30, Covert Farms will be the backdrop for the annual vineyard pig roast, which brings together chefs from eight local restaurants, including Platinum Bench Bakery, Watermark Beach Resort, Miradoro at Tinhorn Creek Vineyards and Covert Farms. When: Saturday, April 30, from 1 p.m. to 4 p.m.
Where: Covert Farms, 300 Covert Place, Oliver, B.C. Price: Tickets are priced at $55 per person and can be purchased online here.